Manderley is in the business of creating beautiful greenspaces with an ever increasing focus on sustainability. Manderley is a proud partner of the Turfgrass Water Conservation Alliance (TWCA) and with their help we have developed Canada’s first qualified drought tolerant line of sod and seed. 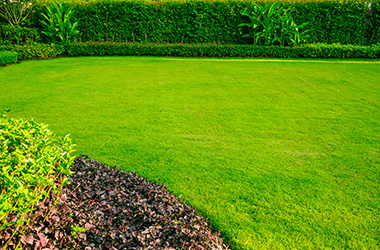 Our Less Water Sod and Grass Seed solutions minimize water usage, protect against drought ravage, and act as efficient carbon stores, soil filters and oxygen generators. They are ideal for helping you meet environmental standards such as LEED and BOMA BEST. Our Less Water products are particularly applicable to LEED Water Use Reduction (WEc3) and Water Efficient Landscaping (WEc1) specifications. 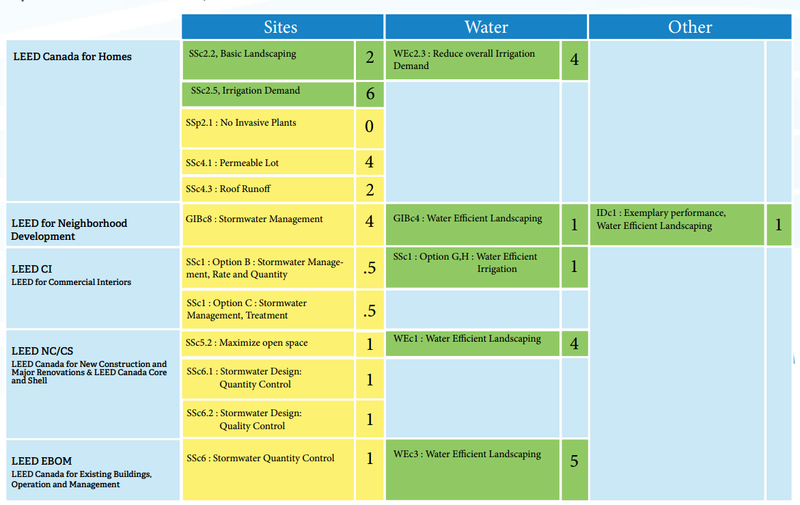 The following table summarizes how Manderley Less Water Sod might contribute to the various LEED products. LEED credit names are provided, along with the number of associated LEED points available. Items shaded green represent LEED credits where Manderley Less Water Sod is considered to be the primary or a major contributor to achievement. Items shaded yellow represent LEED credits where Manderley Less Water could be a significant contributor, but other significant contributors would most likely also be present.